Fairystone Fabrics is proud to be a leading North Carolina textile manufacturer. We specialize in warp knitting, warping, and sueding. We operate with an eye for quality and responsibility. For our customers, we go above and beyond to solve problems and provide reliable satisfaction—that’s why they stay with us over the years. For our employees, we continuously reinvest in our people and our plant—we treat each other like family. For the environment, we reuse or recycle all of our materials—we’re entirely landfill-free. And our ISO certification guarantees that we’re always operating at the highest quality standards. To learn more about Fairystone, check out our video! 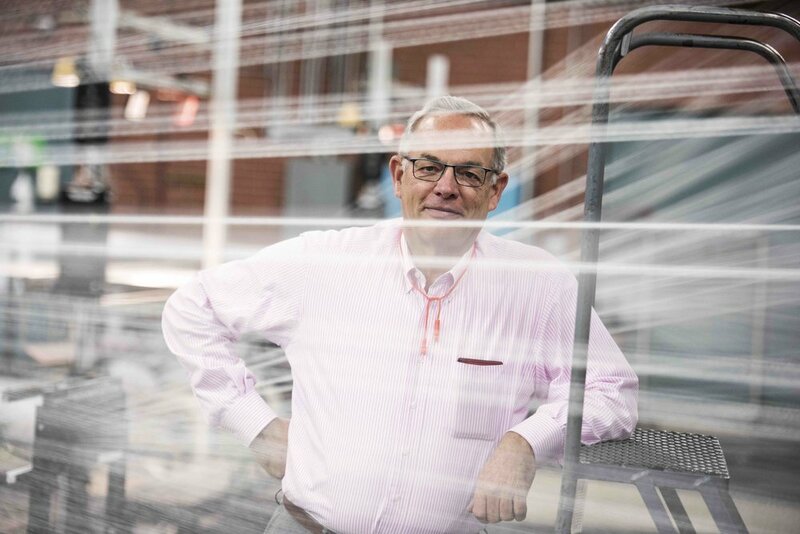 We’ve earned our reputation for technical expertise over 50 years in operation, and we supply quality textiles to customers across the world. We’re always seeking hard-working people to join our team. Whether you’re a skilled textile worker with years in the industry under your belt, a young person interested in our work/study apprentice program, or a professional seeking on-the-job training as you grow in your leadership skills, we’ve got a path for you. Fairystone is committed to building our future workforce through apprenticeship opportunities. We’re partnering with AlamanceCAP and its apprenticeship program, as well as ApprenticeshipNC, to provide opportunities for young people to learn and grow with us. Learn more about our partner, AlamanceCAP (Career Accelerator Program). We share periodic news about our work, updates on our Fairystone Family, and industry insights in our blog. Number of Fairystone employees who’ve been with us for over 10 years—that’s 47%! Hours/days that Fairystone’s machinery runs—we operate almost continuously! We value your interest in our company. If you’d like to learn more about how we can serve you, please drop us a line!